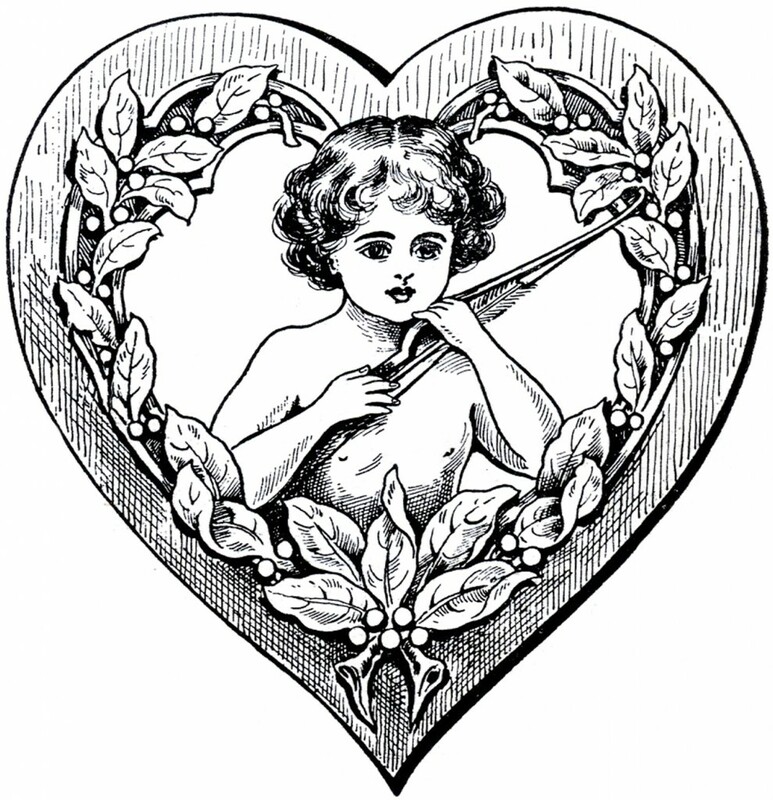 This is a Free Cupid Heart Clip Art Image! This one comes from a book in my collection, it’s a rare Circa 1907 Pyrography Catalog! The catalog is full of patterns, tools and accessories for the art of Pyrography, which is when you burn a design into wood. This intricate design would have been used for that purpose, and added to boxes or small furniture pieces. 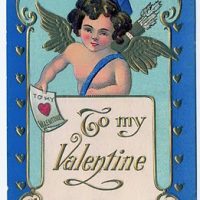 Featured above is a very cute little Cupid, with his bow and arrow, framed inside of a wooden heart. I love how rustic this one is! It think it would be a nice one to use on a Handmade masculine Valentine’s Day Card! 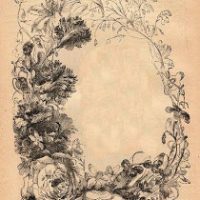 Free Valentine Clip Art – Old Postcards – Cherub – Marie Victorian Floral Frame Vintage Stone Fireplace Image! This is such a cute cupid! I am hoping to create a trivet or coaster set using this image. Thank you! So beautiful Karen! Printing these for Valentine’s Day! Beautiful design Karen! Love it!